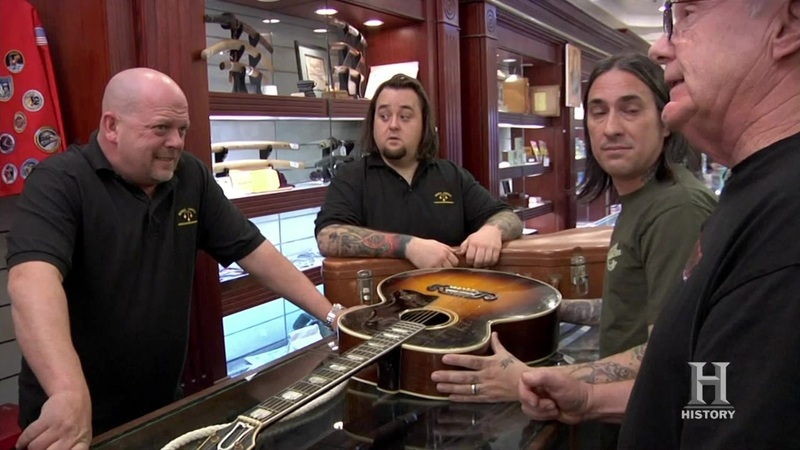 Strum along with the Pawn Stars when a Gibson Super Jumbo guitar once owned by Peggy Eames comes in the shop. A former star of the "Our Gang" series, can the guys negotiate an "oh-tay" price? Then, Corey and the Old Man check out a Buck Rogers tin rocket. Made in the 1930's, will they pay 25th Century prices? And later, Chumlee decides to put some graffiti art on the shop's exterior. Can he pull it off, or will the only tag be on his toe?